I am a professional Guangzhou interpreter who can help you make the best of your business trip with my translation services from Chinese to English. Having lived in the Guangdong area for more than 20 years of my life, I am well versed with the geographical terrain, the major business hubs, the metropolitan area and the local sightseeing options. 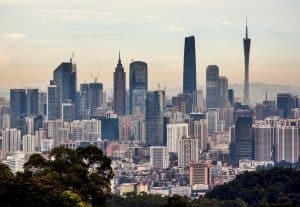 With an opening up of policy and reforms which have made it the hub for business and trade in the Guangdong area, Guangzhou is one of the most visited places in Eastern China by expats and businessmen looking to capitalize on the excellent opportunities that this place offers. With a skilled and experienced English interpreter in Guangzhou by your side, your business or leisure trip will be more fruitful and enjoyable. Most people looking for interpreter in Guangzhou face a lot of difficulties because it is not easy to find a skilled, experienced, professional and courteous translator who can work as an extension of your team. Even if you do find someone, then they may lack the business skills and acumen that are a much sought after quality by business professionals. As a Guangzhou translator, my experience extends to all the major cities in the area that includes Guangzhou, Foshan, Jiangmen, Shenzhen, Zhongshan, Shunde and more. That’s just the cities within China that I have visited. Other than this, I have also traveled internationally as a professional Chinese interpreter. In Guangzhou, I have accompanied my clients on business visits to local factories, markets, exhibitions, trade centers and sourcing fairs. I have helped them understand the client offerings to precision and helped communicate their expectations to the vendors in China. A lot of foreigners who visit China are looking for a Guangzhou interpreter, and having me assist them was one of the best decisions they could make. I firmly believe that my service as an English interpreter in Guangzhou does not end with a mere translation between the two parties. I aim to help you achieve a fruitful business outing and will extend my services beyond the meeting if needed. As your Guangzhou interpreter, I will do my best to make sure your trip is as smooth as possible. Hey, I am not all about boring business talks. I arrange china tours for tourists and tourist groups of all sizes. Irrespective of whether you are a solo traveler looking to enjoy the pristine parts of Guangzhou or a family looking to visit the best sightseeing places, having a reliable female translator in Guangzhou will make your trip pleasant and enjoyable. You can even club your business meeting with a Guangzhou tour and enjoy the sights and sounds of the rich Chinese culture. I can even converse fluently in Mandarin and even in some of the other local dialects that are commonly spoken in the Guangzhou province. Or if you just need a Guangzhou shopping interpreter, then look no further. I am courteous, friendly and extremely well versed in the best tourist places in the area and also in other parts of China. Right from the Canton Tower in Guangzhou to the Windows of the World in Shenzhen and the SeaWorld in Shekou to the Pearl Oriental Tower in Shanghai, you can count on me to take you to some of the best places that China has to offer. To hire a Guangzhou interpreter just fill out the form on this page to request a free quote.